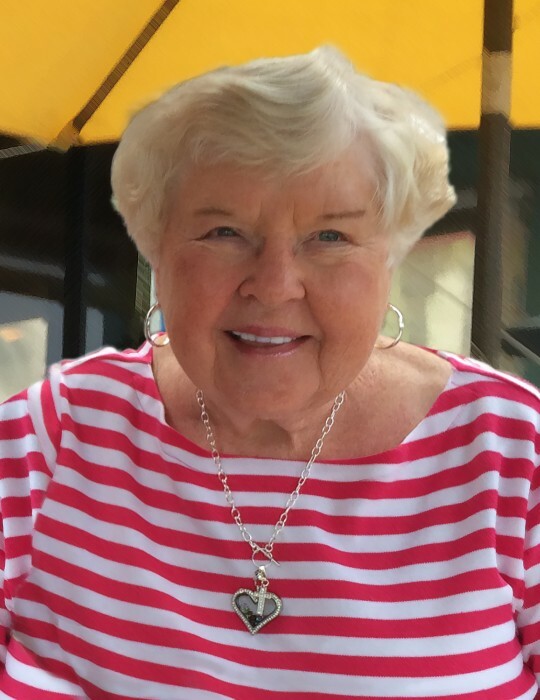 Donna N. Kunz, age 81 of Clintonville, WI passed away in Fort Myers, FL on March 15, 2019. Donna was born on August 22, 1937 as the daughter of the late Arthur and Myrtle (Oneske) Blankenburg. She grew up in Appleton, WI and graduated from Appleton West High School in 1955. Donna was a 1959 graduate of UW Oshkosh. She married Richard Kunz in 1959. Donna spent her career as an elementary school teacher with Greendale Public Schools. Survivors include: Her Sons: Steven (Karin) Kunz, North Barrington, IL & Stewart (Janet) Kunz, Menomonee Falls. Daughter: Sandra (Todd) Vieth, Milton. Grandchildren: Kyle & Ryan Kunz, Milwaukee; Katherina (Brad Williams) Kunz, Franklin; Kayla Kunz, Menomonee Falls; & Cody & Cheyenne Vieth, Milton. Sister: June Lowry, Franklin. Sisters-in-law & Brother-in-law: Pearl Kunz, Appleton & Rodrick (Dorothy) Kunz, Oshkosh. She was preceded in death by her parents, husband Richard, and siblings Hilton & Dorothy Blankenburg. Donna's memorial service will be held Saturday, May 11, 2019 at 11 AM at St. Martin Lutheran Church in Clintonville. Visitation from 9 AM until the time of service. Inurnment will follow at Graceland Cemetery in Clintonville. Memorials will be donated to the Cloverleaf Lakes and St. Martin’s Lutheran Church in Donna’s name. There's still time to send flowers to the Visitation at the St. Martin Lutheran Church from 9:00 AM to 11:00 AM on May 11, 2019.